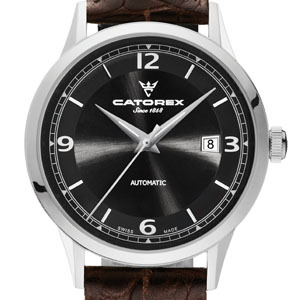 Catorex trains the spotlight on its prestigious past with the C'Vintage collection whose classic lines take inspiration from a 1960s model. References to tradition continue in the form of the authentic vintage Schild AS 2063 movement that drives each one. Fully reconditioned and decorated, this rare calibre keeps time with great regularity thanks to a frequency of 21,600 vibrations per hour. 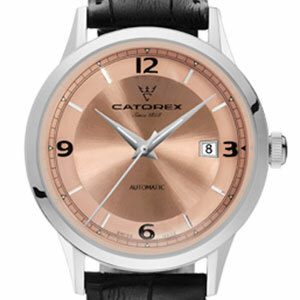 The transparent case back discreetly draws attention to this unique attribute. 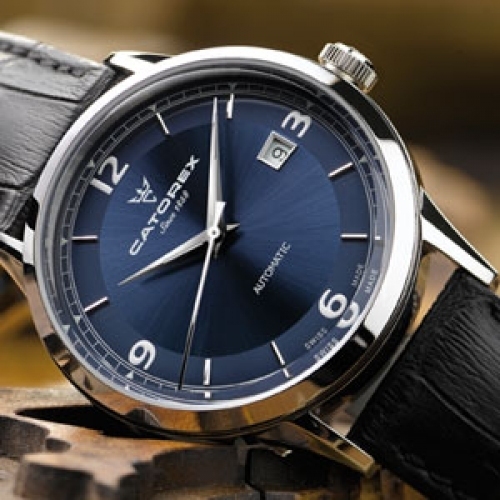 The round case and pointed hands have prompted Catorex to propose four versions of the dial: blue, copper, anthracite and silver. 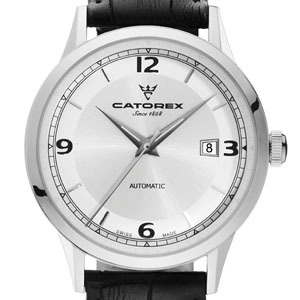 Today, as in the past, the Swiss Jura brand signs each of its models with a "C" set discreetly on the winding crown. 499-piece limited series.